Boil the milk in a kadhai/vessel and add the rice to it. Let the rice cook in the milk on low flame. 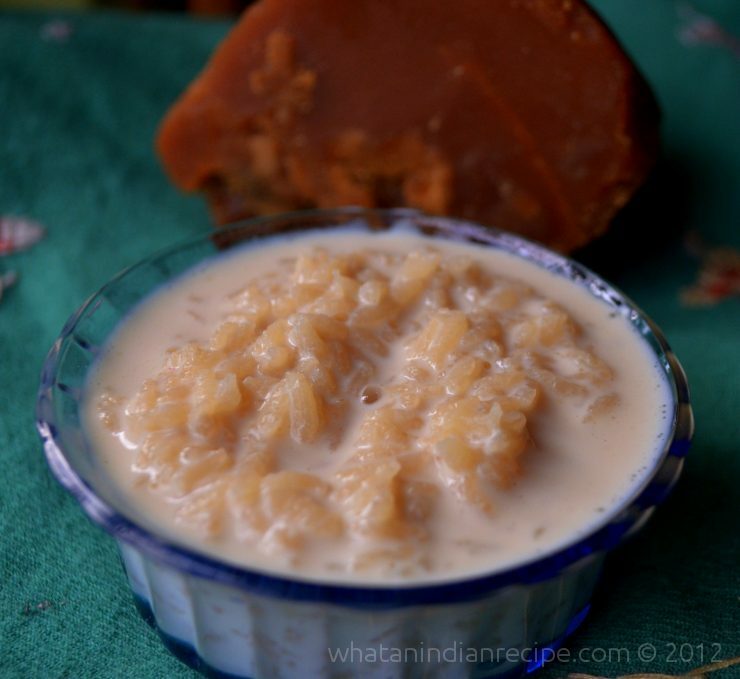 Once the rice is cooked add the jaggery (use more or less as per taste) and mix well till the jaggery melts. Once the the consistency is thick and right your payesh is ready to be served. Note : You can use a little sugar and reduce the amount of jaggery if you like. You can also use cashews and raisins if you wish. I generally make it without nuts and raisins.